Join Ology Essential’s Affiliate Program! We would love to work in a healthy synergetic relationship with you. Our affiliate program is designed help us grow while increasing your revenue streams. Being an affiliate is simple. Sign up. Share your assigned affiliate link. Get paid once a month. Talk about us on your blog, social media, podcast, email blasts and one-on-one to your customers and friends. We just ask that you do not make medical claims that would convert our product from a supplement to a drug according to the FDA. We love Hemp CBD. We are impressed beyond measure with it, but we would like our product to firmly remain in the supplement category and for topical in the cosmetics category. You can help us by not making claims. We know—boring—but legal. Even if you see other companies bending or breaking regulations, that does not give any affiliate that works with us the license to follow suit. We want to be super clear up front—this is an affiliate program and not a multi-level. Affiliates earn from sales directly related to their affiliate link and will not be building a pyramid below them. If you want to refer your friends to our affiliate program you will have our undying love, but they won’t become part your network or income stream. Apply to be an affiliate and we will send you an affiliate link that will track purchases made through your specific link. You can use this link on your website, social media, and to generally share with your customers and/or friends. This approach is totally hands off. You share the link. They buy. We ship the product to your happy customer. We pay you at the end of the month. Affiliates earn 25% of hemp CBD and essential oil purchases made on Ology Essentials through their affiliate link. Ology Essentials pays affiliates for a given month’s earnings at the end of the following month. For example, you will be issued affiliate payment(s) at the end of March covering sales earned in February. Can I earn money by referring other affiliates? No, we are not a multi-level marketing program. We have no pyramid building ambitions. 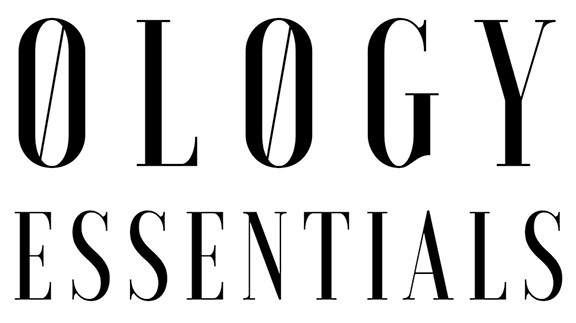 We simply want to reward our customers who refer other customers to Ology Essentials through our affiliate program. Is there a monthly earning cap? No way. We are more than happy to pay out whatever you have earned in a given month. Is it possible for a sale not to be tracked? Technology is not perfect. If a user has disabled cookies it is possible that an affiliate sale will not be tracked. We will work to rectify the problem if both you and the consumer confirm that a sale was not tracked that was meant to be tracked. If a customer has a problem, who should they contact? Have them email us at sales@ologyessentials.com and we will help them out. Can products be shipped to other countries? No. Every country has different laws regarding hemp CBD and we do not want to wrestle with the regulations of other countries at this point. Anyone, but we do require that your representation of our company be within our standards. 1. Don’t make medical claims online or in printed material. The FDA is very strict and other Hemp CBD companies have already had their hands slapped. If you want to represent us, then we ask that you adhere to federal regulations. Also claims by influencers can be deemed unfair or deceptive acts that affect commerce by the FTC. Please refrain from making claims even if they true. We have many resources available in our Hemp CBD Blog and our FAQ. 2. Please be kind on social media. We don’t want to be associated with anyone who blasts other companies or attacks other commenters. 3. Treat every customer with respect. We know the customer isn’t always right, but they are always valuable, should be heard and treated kindly. 4. Affiliate referrals cannot be used for wholesale accounts. 5. Affiliates must adhere to safe essential oil standards when recommending or referring to our essential oils. Do not advise customers to consume essential oils or use them undiluted. To find resources for safe essential oil use please refer to our Aromatherapy Blog. 6. Disclose on your website that you use affiliate links in compliance with the FTC and GDPR. If you haven’t already made your website General Data Protection Regulation (GDPR) Compliant, now would be the time. According to the EU all websites must be GDPR compliant (even if you don’t sell in the EU). The FTC also requires that your affiliate relationship must be disclosed to the consumer in a clear and conspicuous way. Is there anything I need to add to my website to be an affiliate? Yes. If you haven’t already made your website General Data Protection Regulation (GDPR) Compliant, now would be the time. According to the EU all websites must be GDPR compliant (even if you don’t sell in the EU). The FTC also requires that your affiliate relationship must be disclosed to the consumer in a clear and conspicuous way.  Prominence — Is the disclosure big enough for consumers to read easily?  Presentation — Is the disclosure worded in a way that consumers can easily understand?  Placement — Geography matters. Is the disclosure where consumers are likely to look?  Proximity — Is the disclosure close to the claim it modifies?